Although Dolby Atmos technology began in the cinema, it is more than just a cinema or home entertainment offering. It enables a more immersive musical experience that makes everything sound better, from an Imagine Dragons concert in your living room to feeling the music move around you at the Ministry of Sound club in London. Mixing in Dolby Atmos takes the musical experience to another dimension allowing artists to precisely place and move sounds throughout a space, including overhead, which gives fans a deeper connection to the music. 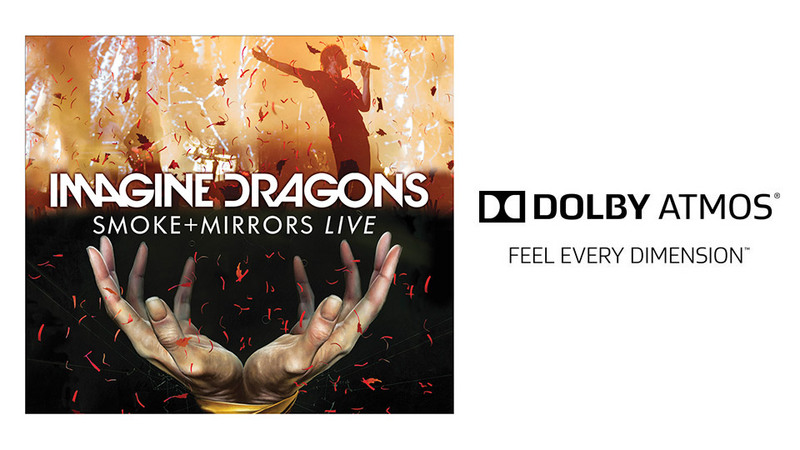 Whether you’re watching a concert in your living room on Blu-ray or you’re live on the dancefloor of one of the world’s greatest nightclubs – Dolby Atmos creates an immersive musical experience that makes everything sound better. Dolby Atmos is #musicthatmoves and is currently available to the professional creative community as a Pro Tools plug-in – allowing artists and music professionals to create music with depth and texture previously not achievable. Even in newer mediums like virtual reality Dolby Atmos helps create a truer and more immersive experience – tellingly, the Paul McCartney six-part virtual reality documentary series includes original tracks remastered with audio mixed in Dolby Atmos. If you’re interested you can find more information here. Promotional materials provided by Dolby Laboratories, Inc.